VAG ODIS 4.4.1 is the latest vas5054a software released in 2018.9. VOBDII.COM team has installed vas5054a odis software on windows 7 HDD with elsawin 6.0 software and etka 8.1. ODIS 4.4.1 works with vas5054a and vas6154. 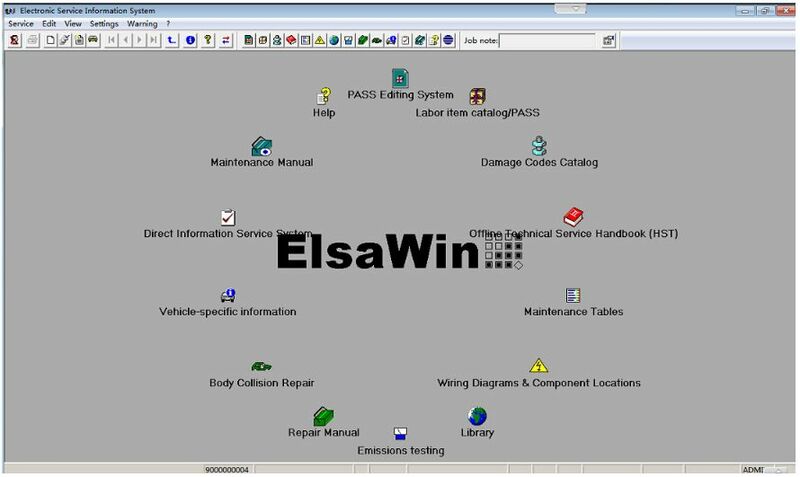 Odis 4.4.1 download software with Elsawin 6.0, etka 8.1 hard disk support AUDI, VW, SKODA, Bentley. VOBDII.COM Notice: ODIS 4.4.1 HDD/SDD included Elsa 6.0 software and ETKA 8.1 software. Languages: English, if you need other language, please contact us via email: info@vobdii.com to get the customization. Software no need activation, can directly use. The VAS 5054A is a universal diagnostic interface for the vehicles of the Volkswagen Group and all OBD vehicle systems from other manufacturers. No cables are needed for vehicle diagnostics using the VAS 5054A. Q: Is this the latest version? A: Yes, Dylan. ODIS 4.4.1 is the latest version that we just released. Q: Hello Serena. Do you have Odis 4.0 version? A: Hi Yusuf, yes. we have odis 4.0.0 for vas5054a diagnostic software hdd installed already.